EpicDice is the fairest dice game built on top of Steem blockchain which aims to provide a refined gambling experience while keeping simplicity intact. We've seen enough drama of what the in-house token systems could bring in the recent Steem DAPP development. With a token system that is centralised closed-source, potential manipulation by the house will put players at a huge disadvantage. Steem-Engine introduced by @aggroed and @yabapmatt utilizing brilliant Steem Smart Contract by @harpagon, is the exact solution we need at the very moment. Token status and transaction are now fully transparent and auditable to everyone. The integrity of custom token had never been this great on Steem. Even better is, Steem-Engine DEX and Keychain makes all tokens tradeable and transferable with ease. Tokens are as real as any crypto coin. Information like who holds the most tokens, did the maximum supply change, what transaction has been going on, and more, are now at your fingertip. Everything is transparent and stored forever on the blockchain. Just like STEEM. We expect to launch EPIC Token within 2 weeks from now. Public 60%: Distributed to players via games. Team 30%: Reserved for development funding and a maximum 30% of this portion will be used for token burning in order to promote better health of token economy. 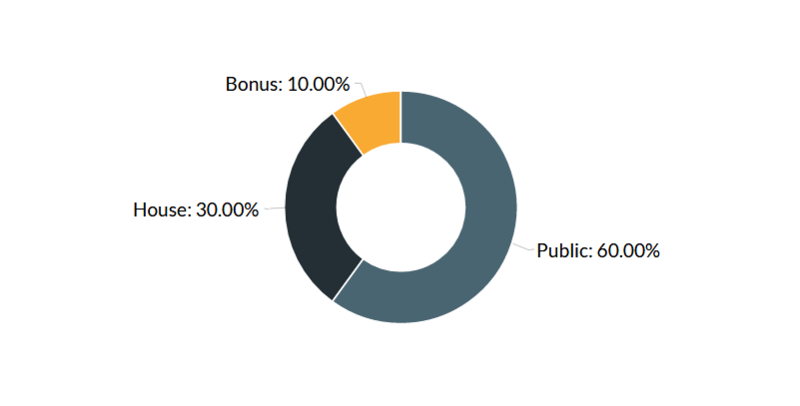 Bonus 10%: Distributed to house first and release to the public via various ad-hoc marketing events like delegation, contest, giveaways, airdrops, coin offering and more. 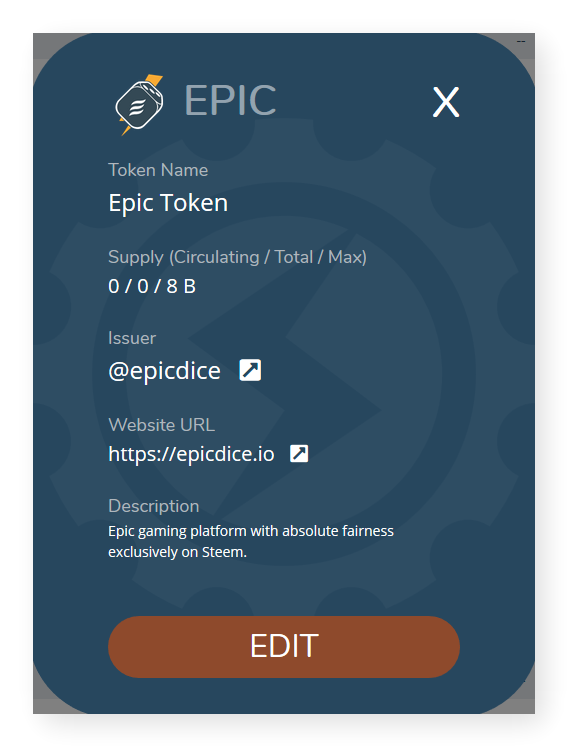 Playing in EpicDice is the main way to earn EPIC out of the token contract. This is not limited to the current dice game but to all the games we are going to publish in the near future. 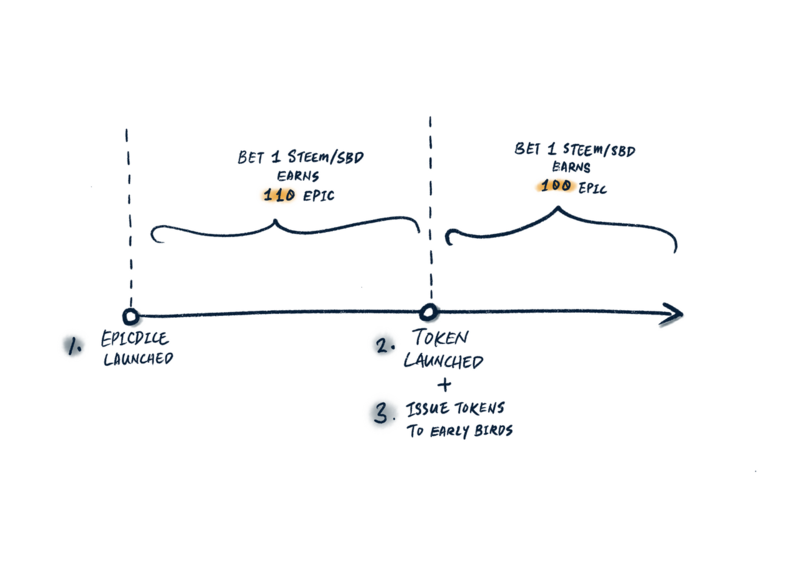 For example in the earliest stage, 1 STEEM/SBD wager will trigger issuance of 100 EPIC(60%) for players and 66.667 EPIC(40%) to the house(@epictoken). After 10% of maximum supply has been mined, the mining rate will be halved and become 50 EPIC for players and 33.333 EPIC for the house. 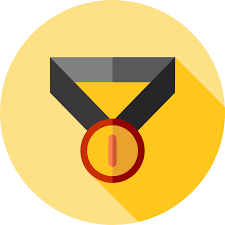 Delegation is one of the most unique features on Steem and those who show their support via delegation, earn EPIC at the ratio of 1 SP : 1 EPIC. Delegation reward would be issued daily and coming from the Bonus(10%) portion of max supply. Although the effective delegation reward is not yet launched, we appreciate all the delegation we've received thus far. 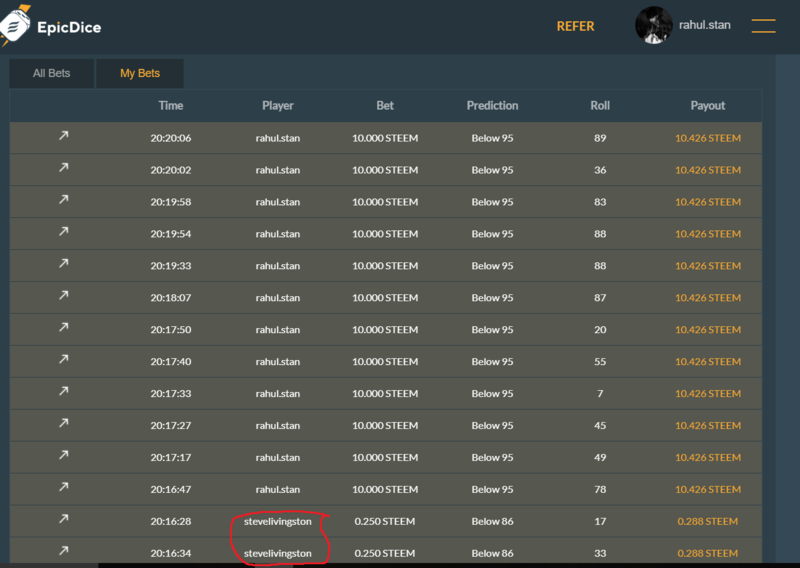 EpicDice now has over 140 players to date, as we promised on the first day that all bets will be honoured and paid accordingly once the token is ready. Here is how we are going to show our gratitude to the early supporters. All wager before the token launching will receive a ratio of 1 STEEM/SBD : 110 EPIC. The 10% extra token represent as our token of gratitude to the early love we've received and would be effective until the token is launched. A snapshot of the total wagered amount by each user will be taken and we will make a post stating all registered players and their eligible tokens in a table form. House issues token accordingly to all players. The EPIC token is officially launched and goes live after early adopters are all paid. After the token has been launched, the default mining rate will be resumed (1 STEEM/SBD : 100 EPIC). 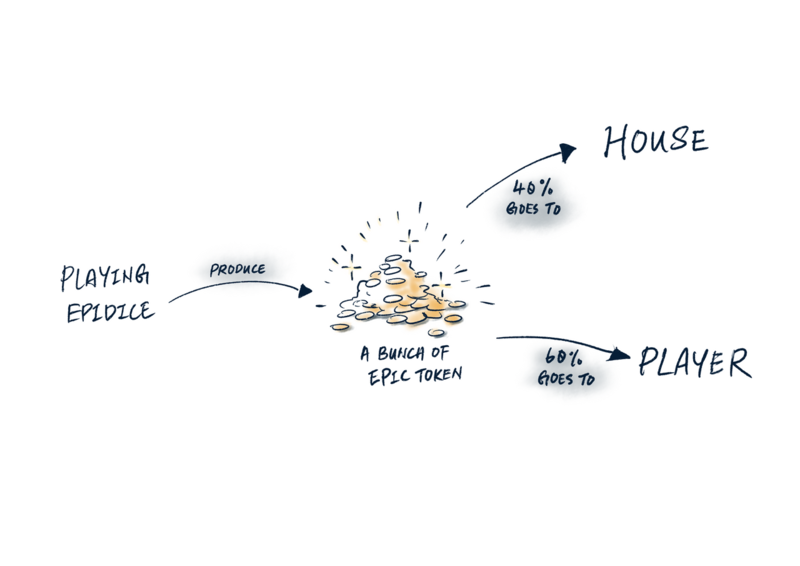 Sharing the house profit with players is the main reason why we are introducing the token system. Nothing is more exciting than the concept of the more you play, the more you become the house. And we would like to take it to another level by making everything transparent to the community. We will show the total house daily profit in real time. Only game-related transaction is permitted during the windows of house opening balance and closing balance. 50% of the positive profit will be credited directly in the Dividend pool and distribute to all EPIC holders at the end of the day. This is probably the first time a house attempts to actively showcase its profitability. Often people are wondering how true is the dividend pool that is putting up by the house, by putting everything under the sun, players can rest assured that nothing shady is going on in our platform. Resteem this post to stand a chance to win 50 STEEM! One winner will be chosen randomly after 7 days when this very post is expired. If you have at least 200 followers and 40 reputations, just resteem this post and you will be in the list which we will be used for winners picking via a provably-fair method. EPIC token will be running on the sidechain of Steem, aka the Steem-Engine. While the project is innovative and very ambitious to better the Steem ecosystem, it is still in its infancy and the devs are improving it every day. 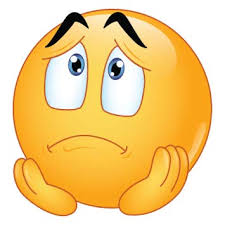 Should there are any technical difficulties of sidechain hindering the distribution of EPIC, we will try our best to follow up and get the issue resolved. However, players should understand that EpicDice does not hold the responsibility of sidechain's health. Please join our Discord server for better communication. Okay, I'm really excited about this dapp but I would appreciate if you guys could implement logging in using steemconnect when using my mobile phone. I just feel safer using steemconnect when I want to log in to other steem-based apps. Your voice is recorded, appreciate the feedback very much. Hi there. Where on the website I can find the dividends section? It is not available yet until token is officially launched. Hi, I want to use it on mobile but can't get keychain, could you add SteemConnect please? Mobile support is one of the features we want to enable in the near future. Thanks for the feedback! Very good concept. I really liked the idea. Please keep it up. Now, this is what I call good news. I truly hope this will be as good as I believe it can be. Also, I would love to place "Above/Over" bets. :) - Resteemed! Stay tuned as we might launch it before the schedule. "Above/Over" is under our radar. Thanks for the support. Sounds great! I'm looking forward to see, and be a part of, all your progress. great news! love the plan. I really liked the Game idea ! Your voice is recorded. Thanks. It's something we will address to hopefully after the token launch. Thanks for the support. The bet before the token is launched, all considered early bird bets. Steemconnect integration is coming soon. Its great that another fair dice game launched on top of steem blockchain. Its create all the betting game more competitive and fair. Thanks @epicdice for launching a fair betting game. We guess we already have you in the party, if not, https://discord.gg/fkRd5X. Thanks for sharing. Good idea for us. I will try it. Which exchance publish this token? It will be on Steem-Engine. am not eligible for Resteem it. Well, you still can enjoy the bonus mining rate while it lasts! Why is there someone else's username on my bets section. Shouldn't it be just my bets? Thanks for the bug report, can you show us how to recreate this issue? Well, I just logged and made a few bets. I went to see "my bets" section and saw 3 bets made by "stevelivingstone". I have no idea how to recreate that. Probably was a bug between the "all bets" and "my bets" section. I have a feedback. When I bet on your site, the steem that I bet is deducted from the balance and it takes quite sometime to get credited back. It scared the crap out of me when I first saw that I lost like 50 steem which was odd because I had won 5 bets in a row(which is why I went "my bets" section). I opened my wallet on steem and had to wait like half a minute probably for the steem to roll back in. My suggestion is that you guys should adjust the on screen balance on the site before the transaction gets verified. Appreciate your input. The screen balance on site is fully base on Steem blockchain and we have no intention to "mock it up" just for the sake of speed. It would cause troubles when the blockchain traffic got jammed up or unstable some time in the future. Your balance shown on the site would be always in synced with other site like Steemit or Steemd. Bout to load up on some Steem for this! See you in da game! Will we receive the tokens on steem-engine? Yes, you can see it on SE as well as Keychain, Steampeak supporting it also. Innovative concept, I would love to see your progress. please make a video tutorial. Watching the video tutorial, we get 100% clear idea about the system. Thank you. This post has received a 76.88 % upvote from @boomerang. Good idea. Look forward to it.